I had a birthday earlier this week and and received a Kitchen Aid standing mixer as a gift from my wonderful wife. 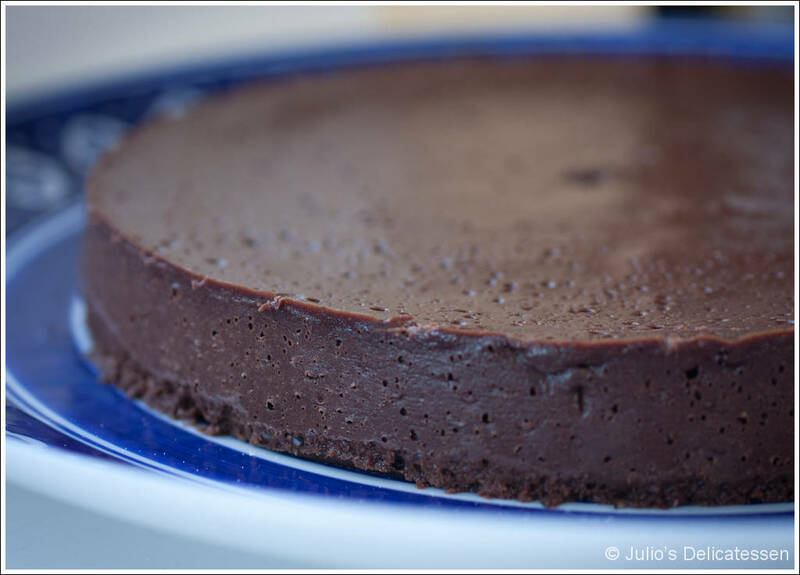 I wanted to use it immediately, so I found a dessert recipe that would provide an opportunity to do so. Adjust an oven rack to the lower-middle position. Preheat oven to 325 degrees. Grease and 8-inch springform pan and line the bottom with parchment paper. Wrap the outside of the pan with two 18-inch square pieces of heavy-duty aluminum foil. Set inside a roasting pan. Boil a large kettle of water. In a standing mixer with a whisk attachment, beat eggs at medium speed until doubled in volume – about 5 minutes. 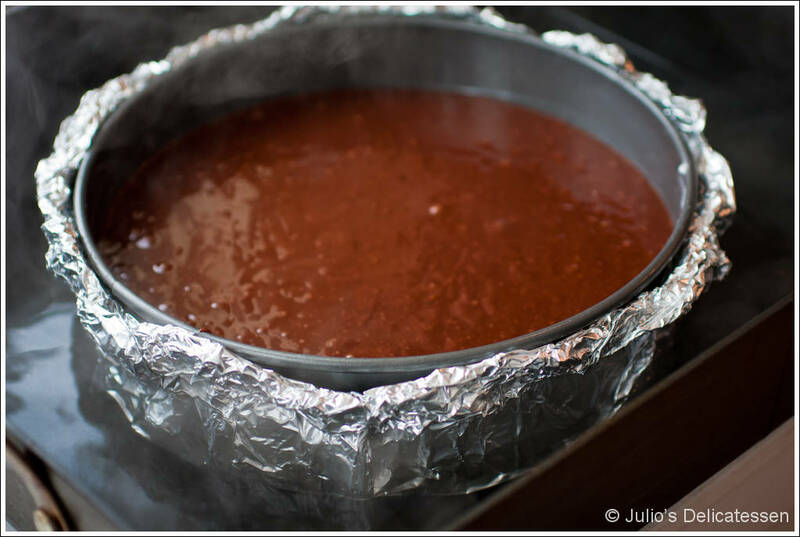 While you’re beating the eggs, melt the chocolate and butter in a metal mixing bowl placed over a pot of simmering water. Once it’s melted, stir in the coffee. Use a rubber scraper and fold one third of the eggs unto the chocolate until it is thoroughly combined. Fold in the remaining eggs – in two separate additions – until the batter is thoroughly combined and smooth. Scrape the batter into the prepared pan and smooth the surface. 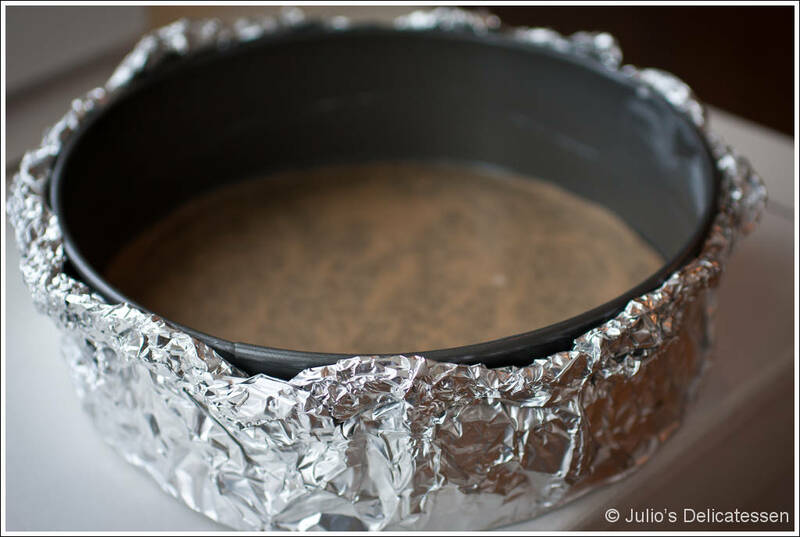 Set the roasting pan with the springform pan on the oven rack and add enough boiling water to the roasting pan to come halfway up the outside of the foil-wrapped springform pan. 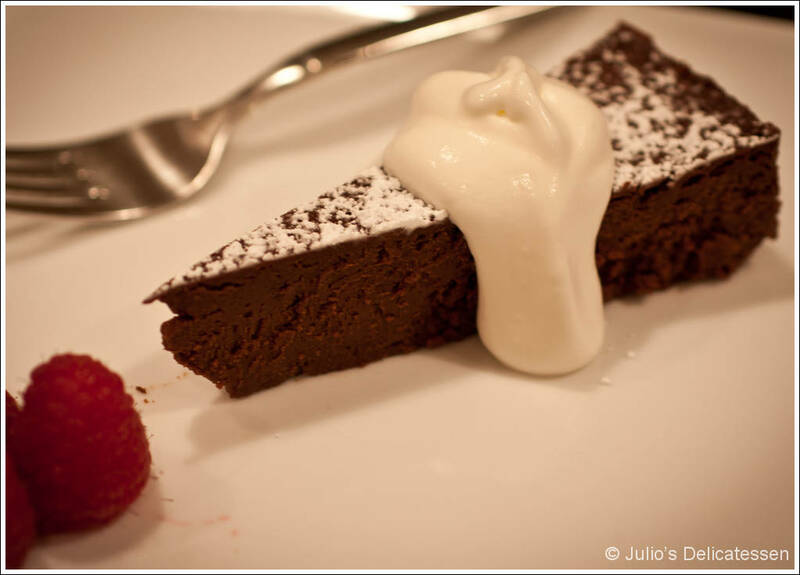 Bake for 22 to 25 minutes (until an instant-read thermometer placed in the middle of the cake registers 140 degrees). Remove springform pan from the water bath and set on a cooling rack. Allow to come to room temperature, then cover and refrigerate (at least overnight or up to 3 or 4 days). 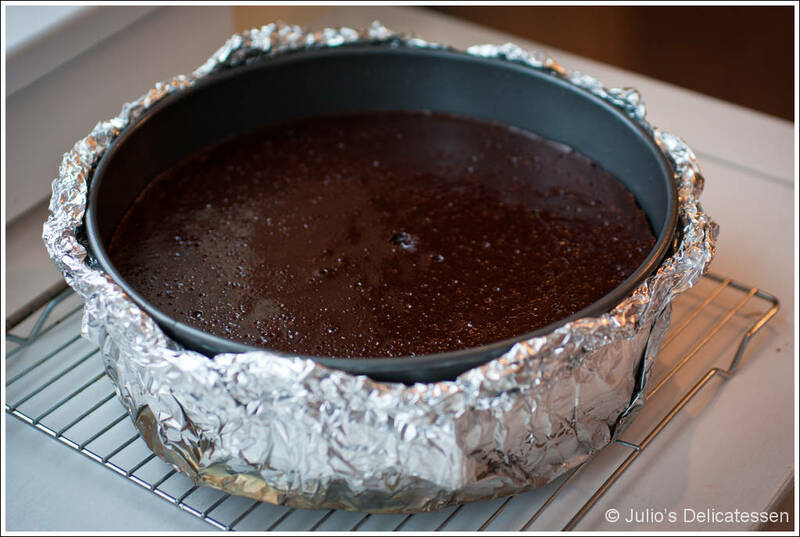 About 30 minutes before serving, remove the sides of the springform pan and flip the cake top-side-down onto a wire rack. Remove the pan bottom and the parchment paper, then invert right-side-up onto a platter. Lightly dust with confectioner’s sugar and serve.